We are huge fans of the Olympics. We are actively counting down the days to the first Sochi events on February 6, 2014, and the opening ceremonies on February 7, 2014. We recently asked our students if it was appropriate to discuss the Winter Games in the classroom. They replied with a resounding, "Yes!" They immediately launched into a lively argument, pointing out the crosscurrents of geography, culture, sport, history, science, mathematics, media, finance, and current events. A reliable first source for classroom videos is the The Olympic Channel on YouTube, which each day broadcasts a different marquee moment from the pantheon of historic feats. 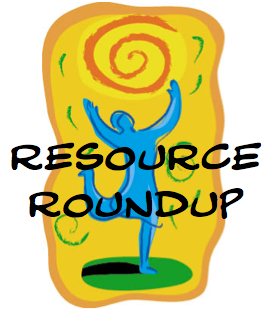 In companion with these official updates are the terrific resources from NBC Learn. As the official partner of the Games, NBC has amassed a library of valuable tools and videos to bring the contests to life. We are personally fortunate to know some of the leaders behind the NBC Learn site, and we can attest to the integrity and educational values that are applied to each film and to each learning resource. It is a teacher-friendly database of creative exploration. 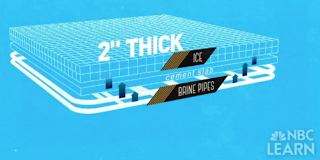 Our current favorite module of the NBC Learn universe is the series on the "Science And Engineering Of The 2014 Olympic Winter Games." This rigorous, investigative collection of videos, hosted in conjunction with Science 360, offers a data-driven companion to in-class learning. 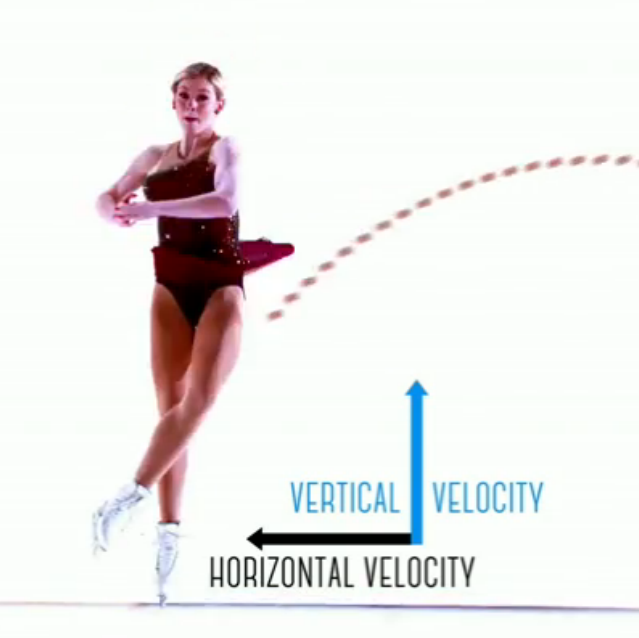 Particularly relevant to STEM curricula, these films layer informational graphics on top of athlete clips to illuminate the physics and kinesthetics beneath the movements. Our students' favorite was the video on "Figure Skating Physics." This motion graphic superimposes the arcs of axles and the tempos of toe-loops on top of real-time footage of champion skaters. Another favorite was the intriguing clip on "Olympic Movement And Robotic Design." This video reveals the learning capacity of airborne robots to work in collaboration and to navigate obstacles, all in mimicry of Olympic athletes. Aside from its sportive value, this film points to the future of multidimensional, self-instructive artificial intelligence. If you are interested in exploring the Olympics in your classroom, NBC Learn is hosting a Google+ Connected Classrooms Hangout about the "The Science Of Snow" on Thursday, January 30, from 3:00 - 3:00 p.m. EST. This social engagement will be led by Dr. Sarah Konrad, a former Winter Olympian and current professor at the University of Wyoming. In other video news, if you haven't yet seen Proctor & Gamble's advertising series on the benefits of failure and the love of families, you are in for a real treat. Check out "P&G Thank You, Mom | Pick Them Back Up | Sochi 2014 Olympic Winter Games" for an emotional, inspiring look at what it takes to be a champion. All Olympians take comfort and support in the years of sacrifice from parents and loved ones. This video reminds us what winning, losing, and loving are all about. With the plethora of infographics in the media, it's important for our learners to understand how to design information. 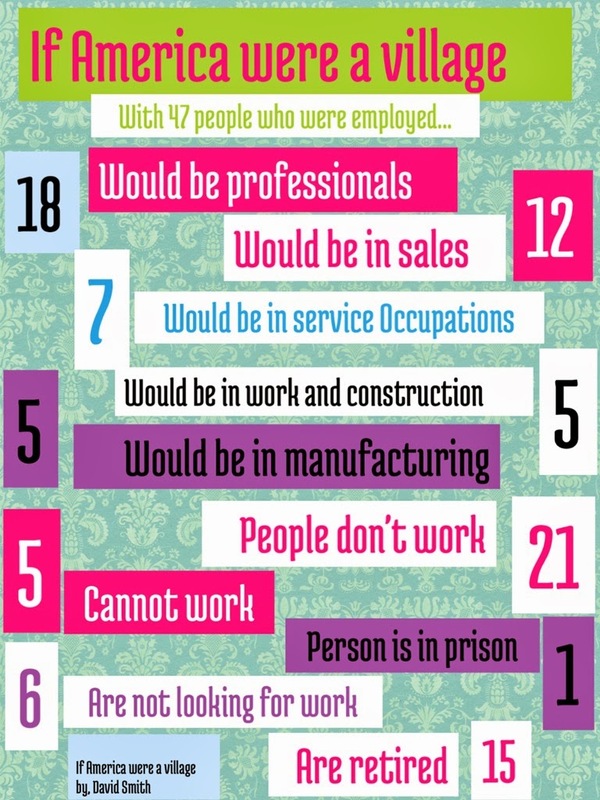 We continue to incorporate the creation of infographics as part of our curricula to help them do just that. Our students have made several visuals since the beginning of the school year to explain acronyms and to promote fundraisers. With each new attempt, they’ve continued to hone their design skills. 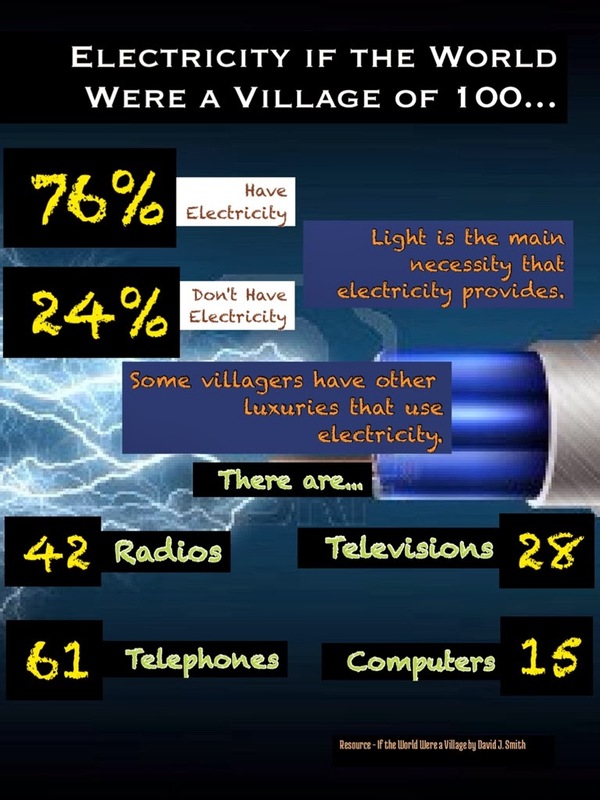 The most recent infographics featured in this post were based on the books If The World Were A Village and If America Were A Village by David Smith. Each student was given a specific aspect addressed in the books to create his or her design. Since the topics covered in the books included the data, this ready access to facts and figures enabled the students to focus on the design of the information to visually represent their content. We also set certain parameters. Their font selection was limited, and they could only use design elements such as shapes and colors to emphasize the information. Our objective was to help them realize that design shouldn’t overshadow the message being portrayed. They went through several iterations before arriving at the final product, and it paid off. Even the kids remarked that these were the best infographics they’d design thus far. We could only smile and appreciate how proud they felt. Design literacy, like other literacies, needs to be learned. We can’t assume that because our students have access to the bells and whistles of technology that they know how to do it. We’ve written many posts on DLIT, talking about the combination of design, literacy, information, and technology to create content. Today, more than ever, it’s a prowess we need to continually cultivate. The two greatest breakthroughs in the past 100 years of cartography have been the handheld GPS and Google Earth. These two real-time, all-the-time navigation tools have brought geography into the hands of everyday users. They have made maps a daily habit. In a recent (unscientific) classroom survey, 100 percent of our students said that they had never held a traditional paper foldout street map. Eighty percent, however, said that they had looked at a map on their phones that day. Global education has a rich opportunity to tap into the dynamic proliferation of maps across the smart web. A perfect place to grab students' attentions is with the whirlwind video "42 Amazing Maps" by Hank Green of vlogbrothers. In this zippy clip, Green presents a startling array of images that suss out the quirky history of cartography. 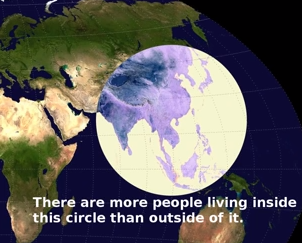 These visuals explore the nature of the world's population, the flattening of ocean navigation, the idiosyncrasies of global tastes, the data of land masses, and the actual size of global continents. Many thanks to Scott Cunningham (@hipjointnyc) for tipping us off to this entertaining classroom resource. A host of terrific tools exist online to make map study more than homework drudgery. Maps are now latching on to social media, with interactive sites that seek to be the Twitter or Pinterest of geography. For example, Map Stack by Stamen aims to be the Instagram for maps. It eliminates the technical requirements of cartography and instead allows users to choose layers and details to quickly share online. MapBox also facilitates the creations of custom maps, with easy access to social portals like Foursquare and tablet apps like Evernote. It offers a buffet of options, from easy to advanced, for designers to craft images for both personal and commercial use. Maptia, which reimagines geography as a social narrative, is probably our favorite. In conjuction with its terrific blog, Maptia encourages users to share photos and travelogs from their roams around the globe. By connecting personal stories, it hopes to quilt together the most comprehensive, personal world map ever envisioned. It's a great way to let students interact with the visual world. We thought this past year went fast, with all of the new tech tools out there for us to try. Well, get ready for 2014. It seems we just get settled in when new applications come along to add to our growing list of "need to know this," and we're not talking about Pinterest, Facebook, and Twitter. If the motion graphic Social Media Trends 2014 from 2Factory is any indication of what's ahead, we have our work cut out for us as teachers and parents in trying to keep up with our tech savvy students. To be sure, they may use technology's newest applications, but if your students are like ours, they need constant reminders about protecting their privacy. Even if we don't use these tools ourselves, we need to know about them to help navigate kids to use them responsibly. 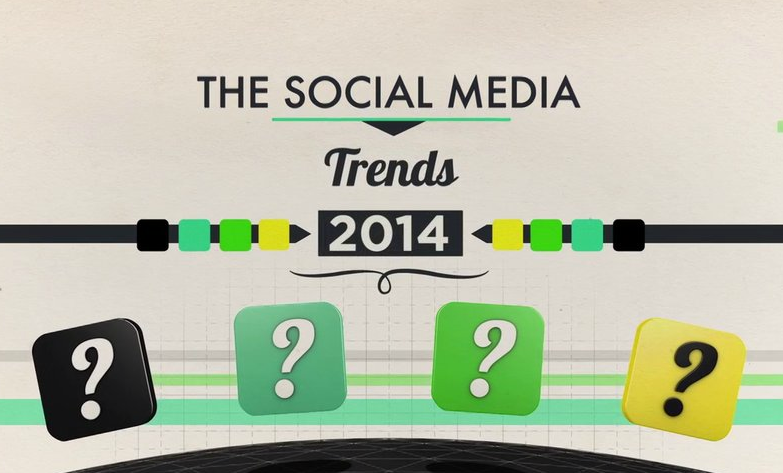 SOCIAL MEDIA TRENDS 2014 from 2 FACTORY on Vimeo. Formal professional development cannot possibly keep up with the hottest new technology trends among students. It's another reason why teachers should participate in some form of social media or follow education blogs to stay aware and be current. 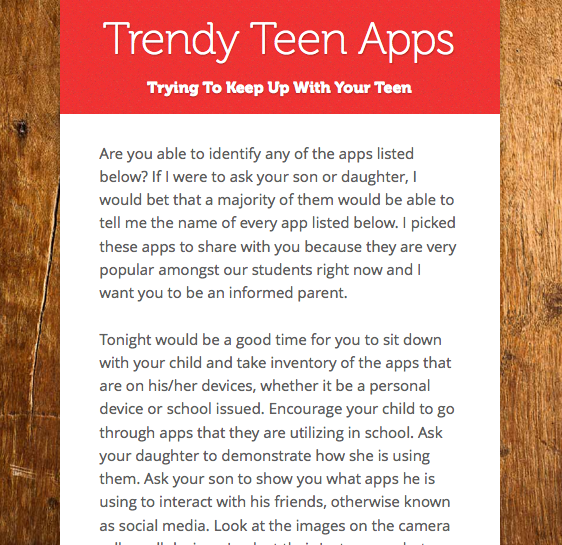 The recent post called Education Is the Best Medicine from Comfortably 2.0 lists a host of apps with descriptions for parents and teachers alike on what teens are using. 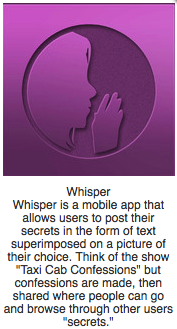 We stumbled across a few applications that we did not know ourselves, such as Voxer, Wanelo, and Whisper. Other social media applications to add to the list are Pheed and Line. According to Forbes, teens drove Pheed into the number one social media app spot last year, and we still have many teachers not even using Twitter. 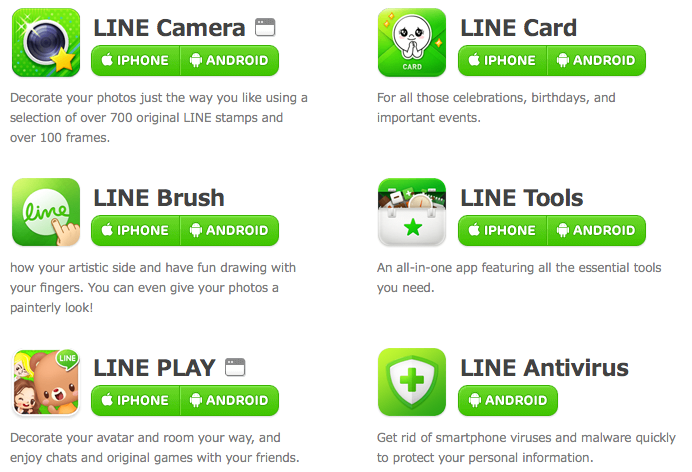 Line is a mobile app with over 200 million users who can create messages using an array of stickers. It's huge in Asia and making its way east fast. These apps are all free. This allows kids to easily download them onto their devices, and it is all the more reason why teachers have to be aware of what's out there. We may not use each application, but knowing them will help us educate our students to use technology as good digital citizens. As educators, we want our learners to understand more than the content of our curricula. Our student body is fortunate and for the most part shielded from many of the ills that others, particularly children, face. We feel strongly that compassion is the cornerstone for building a greater social interconnection with the world around them. Making an emotional connection by putting themselves in the place of others is important. They need to empathize to feel compassion. The more we stress the potential value and goodness of human needs with our learners, the greater the likelihood they will seek ways to get involved in finding solutions. These short motion graphics are a few that we've used to emphasize the value, capacity, and worth of others. This video was produced by the Dalai Lama Center for Peace and Education to promote, support and and encourage educating the hearts of children. By teaching them compassion, acceptance, and tolerance, they will be better prepared for the world outside school as socially and emotionally capable young people. A balanced education of the heart and mind not only helps them be successful in school, but also in life. This video was part of the To This Day project based on the spoken word poem by Shane Koyczan of the same name. Eighty-six animators and motion artists collaborated to produce this video to explore the deep and lasting impact that bullying has on an individual. The Bernard van Leer Foundation funded this video as part of its campaign to raise awareness to reduce and eliminate violence in the lives of children. Its mission is to improve the conditions and provide opportunities for young children up to age 8 who are growing up in difficult circumstances. This motion graphic was produced LUMUS, an organization that works to support children in institutions worldwide to regain their right to a family life and to end the institutionalization of children. The shocking reality is that of the 8 million children in institutions worldwide, more than 90% of them are not orphans. This motion graphic produced by Walk Free seeks to expose one of the most important issues of modern times. It is a global movement of over 5 million people to end modern slavery through the power of social media, new technologies, and online communities. Its mission is to make the fight against slavery a real priority across the world. This video is an eye-opener for many students. They have no idea that over 16 million American kids live in households that struggle to put food on the table. No Kid Hungry helps raise funds and promotes awareness to this growing problem in the United States. The Olympics is a quadrennial media and marketing bonanza. It is also an educational goldmine, with countless opportunities for classroom explorations of culture, sport, geography, history, and especially design. The branding of the 2014 Sochi Olympics has taken the typical TV blitz to new, technological heights. While the Winter Games cannot compete with its flashier Summer cousin, the creative minds behind Russia's visual presence have devised some elegant interactives to engage viewers around the world. So far, coverage of February's event has centered on misfortunes like the horrific terrorist bombings and the ill-fated torch relay. More attention, though, should be paid to the crisp designs of Sochi's graphic themes. The 2013 logo underwent numerous changes and focus tests before settling on a revolutionarily modern template. The designers eschewed the traditional notion of an actual emblem or icon and instead opted for a web banner that could be deployed across an array of digital platforms and posters. In fact, the graphic scheme with the ".ru" extension is itself an advertisement for the online site. The idsgn blog nicely highlights the forward-thinking approach of this insignia. 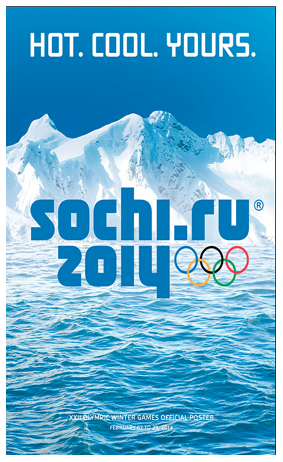 It remains to be seen where Sochi will rank among the best and worst logo designs in Olympic history. The 2014 crest does not renounce visual flourish entirely. Indeed, the maya blue hue and the clever mirroring of the date beneath the city, as though reflected in ice or a glacial pool, echo a gelid coolness befitting a crafty contemporary Games. The process for deciding on Sochi's mascots was equally as populist. An at-large contest solicited blueprints and votes, and the eventual winners were at once safe and singular. 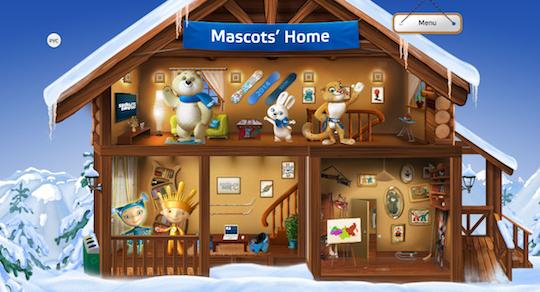 The principle figures for the Games uncontroversially feature a polar bear, a bunny rabbit, and a snowboarding leopard. The intriguing characters, however, are the two extraterrestrials of perpetual warmth and winter that represent the companion Paralympics. The official Sochi site presents a terrific interactive visualization about the mascots that explores their genesis and their historical relevance. The personae themselves may not be particularly innovative, especially when compared to the perfectly pitched First Nations animals from Vancouver 2010. They doubtlessly win, however, when pitted against the laughable mascots from Atlanta 1996 and London 2012. The final design hallmark of any Games is the signature medal that a champion earns. The best and worst medal designs in Olympic history feature many iconic hits and misses. This year's Sochi ornament ranks among the finest. 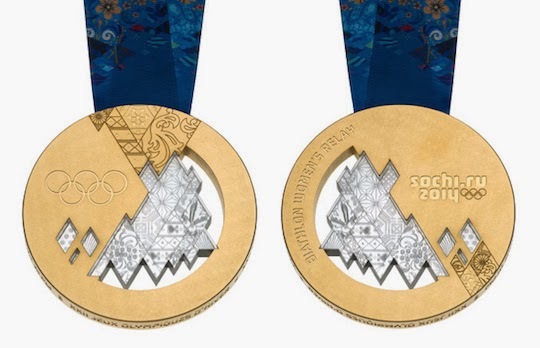 The imaginative cutout of etched "glass," with peak-a-boo windows of ice patterns, and the jagged interest of the implied mountain peaks all make these medals surprising and enchanting rarities of Olympic excellence. Any athlete would be proud to stand on the podium wearing one of these dignified and peerless badges. For other avenues to follow the Olympic action, the Sochi site offers an interactive app for most smartphones. It also includes a regularly updated media gallery, with videos and photographs to chronicle the spectacles. By the way, for a fascinating gallery of historic Olympic posters and designs, we recommend perusing this fine Associated Press collection that shows the evolution of advertising and marketing.